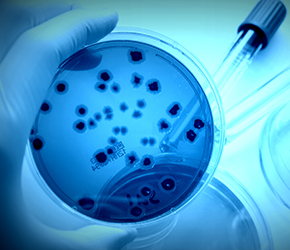 New white paper on mobile devices and infection control. Studies show the average mobile phone is teeming with bacteria, often in higher concentrations than a door handle in a restroom. That’s bad enough just in everyday life, but when you couple it with the presence of antibiotic-resistant bacteria in a healthcare setting, you’ve got the potential for healthcare-associated infections (HAIs) that can put patients in serious jeopardy. What does that mean for the biomedical engineers in charge of maintaining the mobile devices used by clinicians and staff every day? Infection control professionals are working on standardizing protocols for cleaning and disinfecting mobile devices (phones, computers, scanners and printers) to prevent the spread of these so-called “superbugs,” but these practices haven’t been standardized in any meaningful way. And they can present some challenges to mobile devices that aren’t designed for frequent cleaning and disinfecting, potentially resulting in damaged equipment, unhappy clinicians and delayed patient care. Our new white paper, “Separating Myth From Reality: Cleaning and Disinfecting Mobile Devices,” debunks some of the top myths about the potential risk of infectious diseases that mobile devices present. Get the facts on mobile devices and infectious diseases.